Marquee Blogs CNN: In a recorded message for MTV, the 37-year-old openly gay "How I Met Your Mother" star - who is expecting twins with partner David Burtka – acknowledged, "When you're young, when you're in elementary school, when you're in high school, it's important to try and fit in and be accepted and to be part of the average. Everyone does it, that's the way it goes." But, Harris added, those who get bullied or feel like an outsider should know things will get better. "When you get older, you find that people are actually drawn to individuals with different points of view who are proud of who they are and who make interesting and different and unique choices...at least I am," he said. Ultimately, he wants struggling youth to not harm themselves and hold their heads up high. "You can act with strength, you can act with courage, you can act with class and stand tall, be proud of who you are," Harris said. "This is a good time that we live in, and we're being granted more and more rights, and that's awesome, and it will continue in that direction. And, yeah, be proud" (Neil Patrick Harris speaks out on anti-gay bullying). Neil Patrick Harris (born June 15, 1973) is an American actor, singer, and magician. Prominent roles of his career include the title role in Doogie Howser, M.D., Colonel Carl Jenkins in Starship Troopers, the womanizing Barney Stinson in How I Met Your Mother, a fictionalized version of himself in the Harold & Kumar series, and the title role in Joss Whedon's musical web series Dr. Horrible's Sing-Along Blog. 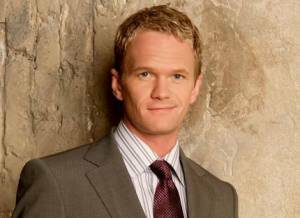 Harris is openly gay, confirming this in November 2006 by saying "...I am happy to dispel any rumors or misconceptions and am quite proud to say that I am a very content gay man living my life to the fullest and feel most fortunate to be working with wonderful people in the business I love" (Wikipedia: Neil Patrick Harris).